Over to Montreux this week for a 1970 concert featuring the great Yusef Latteef Quartet, with Barry Harris on piano, Bob Cunningham on bass and Al Heath on drums. Lateef was one of the first Jazz musicians to explore Eastern music and fold those influences into his own work. A pivotal and influential musician, Lateef’s blending of Eastern and Western sounds made a huge impression on John Coltrane during Coltrane’s free jazz period. In addition to his pioneering work as a musician, Dr. Lateef has been a widely respected educator and author, and thankfully, he is still very much with us and continues to be active. (note: there is some bleed-through from a tape being re-wound – this showed up on the broadcast and may be from the original session. Fortunately, it only lasts about a minute and isn’t that distracting, but I thought I’d let you know anyway). Another legendary figure who left too soon. The legendary Isaac Hayes this weekend. In concert from the 2005 Montreux Festival. Isaac Hayes is another one of those influential artists who left all too soon. As one of the primary writing figures at Stax, Hayes (along with writing partner Don Porter) turned out some of the most memorable songs during the Golden Soul years of the 60s. Writing such hits as Soul Man and Hold On, I’m Coming for Sam & Dave, they practically defined the Stax sound. As a composer and producer in his own right, he was responsible for such classics as Hot Buttered Soul and the Theme to Shaft and a string of soundtracks in what became known as the Blaxploitation genre. A versatile talent whose career spanned many areas, all the way down to voice-overs on South Park, Hayes was going through a dramatic career resurgence when a massive stroke took his life in 2008. So as a reminder of just how great a musician and musical force he was, here is that Montreux concert with Isaac Hayes, playing before a wildly enthusiastic audience and showing everyone just how it’s done. We won’t be forgetting that for very long time – if ever. The Godfather of Soul has spoken. It’s the Godfather of Soul this weekend – the legendary James Brown, recorded in concert at the 1981 Montreux Festival. There isn’t a whole lot anybody can say about James Brown, that hasn’t been said and reiterated hundreds of times before. All I can say is, after running one of his Hollywood Bowl concerts f rom 1968 some time back, it’s amazing the energy and vitality was still intact. Certainly a tribute to the amazing artist who influenced so many during his career. If, for some unknown reason, you’re not familiar with James Brown, and never got a chance to see him in concert, here is the next best thing. And for Labor Day Weekend, there’s nothing like a few words from The Hardest Working Man In Show Business. The legendary Marvin Gaye this weekend. Doing some classic concerts this weekend, starting off with the legendary Marvin Gaye in concert at the Montreux Jazz Festival on July 17, 1980 via Swiss Radio. There really isn’t much to add that hasn’t been written in volumes about the music and career of Marvin Gaye. Without question, one of the cornerstones of Motown and the Soul genre. His popularity and the beauty of his music haven’t diminished one bit over the years. Yes, there’s that element of nostalgia for those of a certain age who remember when his many hits were released. But more than that, his music has stood the test of time, his message has never been lost. And that, I think is the true test of an artist who achieves Legend status. This concert, not part of the treasure trove issued by Arte over the past few weeks (which, for some reason we are unable to get hold of here in the States . . . .the specter of contractual hassles, no doubt), has been issued as a DVD version. I’m not sure if it’s still available. But if you want to see the artist as well as hear him, seek it out. But for now, 90 minutes of Marvin Gaye. And all is right with the world . . . for 90 minutes, anyway. 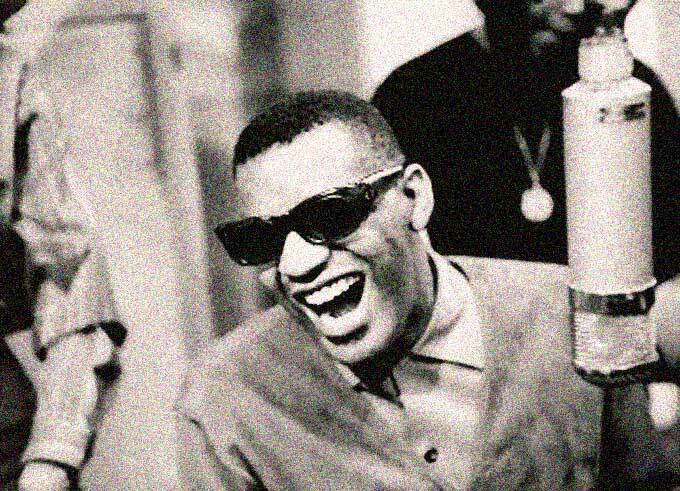 Ray Charles in concert – one of the gems from the recent treasure trove. Good news came from The Montreux Festival the past couple of weeks. One was the release of a veritable treasure trove of past performances, and the other was news the Montreux Jazz Festival archives are now under the preservation of UNESCO. Some 40 years of film and audio equalling some 5,000 hours are to be preserved under the Memory Of The World Register. This is a great step in the area of preservation, but it also gives evidence that the late founder of the Montreux Festival, Claude Nobs had the foresight and love to preserve everything that happened during that milestone festival from its beginning. 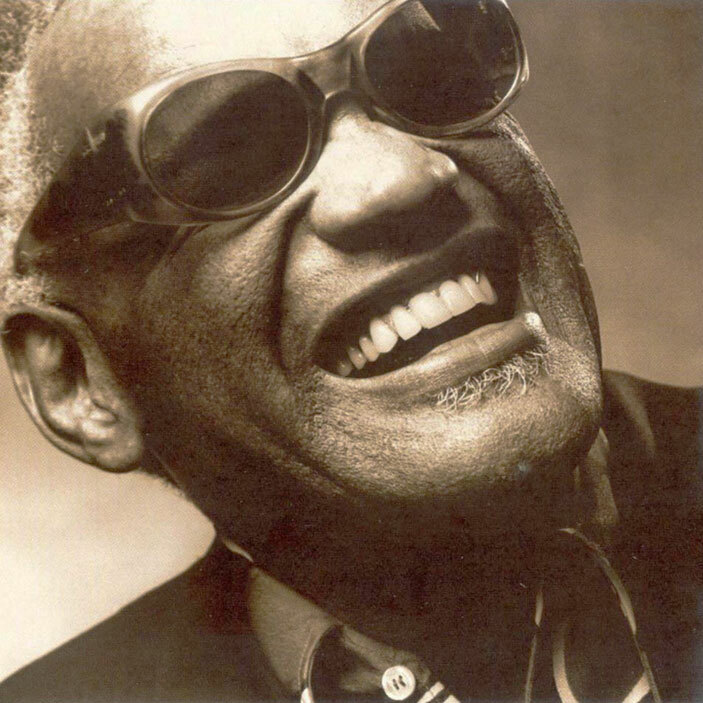 One of those gems, part of a Historic Soul Series now available (or at least it was as of last week) via the ARTE Live Web site, is Ray Charles, live in 1997. If you missed Ray Charles the first time around, and are just discovering him now – or need to be reminded from time to time why they referred to him as “The Genius Of Ray Charles” – now’s your chance.